If you’re a parent, Tornado Season might be at the top of your anxiety list. But there are things you can do to be prepared for severe weather, and we’ve enlisted the help of WHNT’s Jason Simpson to give you some invaluable tips. I may be WHNT News 19’s Chief Meteorologist, but I’m also a dad and a husband in a family that I have to leave every day to go to work. It’s not easy being away from them on wild weather days, but it calms my nerves (and my wife’s nerves) knowing that they know what they’re supposed to do if severe weather comes to our doorstep. My wife was just over four months pregnant with our first child on April 27, 2011; that’s the only time I’ve ever had to tell her to leave our house to go to a neighbor’s home with a basement. Thankfully, the tornado lifted just southwest of where we lived at the time, but the storm’s rotation passed directly over the neighborhood. That’s a feeling I’ll never forget, and I know it’s a feeling a lot of people go through anytime severe weather happens. Lacey has gotten the kids out of bed a time or two since then to move to our safe place over the past several years, but nothing has ever come so close – or been quite as unnerving – as April 27th. The peak of severe weather season in North Alabama happens in early May. In fact, May Fourth is the ‘peak’ of the season according to climatology, but we can have nasty storms at any time of year. What Makes a Storm ‘Severe’? High winds, hail and tornadoes make up severe weather in Alabama, and we get a lot of all three in the Spring! Alabama recorded 47 severe weather days in 2017 with over 700 reports of severe weather (wind, hail, and tornadoes combined). Tornadoes get the highest billing and most recognition in severe storms, but your odds of getting hit by a tornado are much lower than getting a 50-60 mile per hour wind gust, damaging hail, or a deadly lightning strike. On the biggest tornado day in recent history – Alabama’s generational tornado outbreak on April 27, 2011 – only 1% of the total land area of this state got a direct ‘hit’ from a tornado. Be ready! Anytime a Severe Thunderstorm Warning is issued, plan for strong winds that could knock down trees, knock out the electricity, bring large hail, heavy rain, and of course, dangerous lightning. How Do You Know When It’s Headed Your Way? These are must-haves your family needs for staying ahead of severe storms in Alabama. A programmable NOAA Weather Radio with SAME code technology (so you can get alerts you choose for the county of your choice). The Midland WR-120 is one of the most reliable, easy-to-program models on the market. Access to local media: find the station you like best and find most trustworthy and stick with them (TV, social, and radio). If you’re traveling, Live Alert 19 allows you to stream live coverage; radio stations like 102.1 WDRM carry WHNT News 19’s coverage if a Tornado Warning is in effect for Madison, Morgan, Limestone, Marshall, Lawrence, Jackson, northern Cullman, eastern Lauderdale, western DeKalb, southern Giles (TN), Franklin (TN), and Lincoln (TN) Counties. Social media posts that show you scary, color-contoured maps that don’t immediately give you any real-world explanation. Posts that call for major severe weather many days in advance unless it’s from your trusted source. An “It’ll never happen to me” mentality – do not think for one minute that since it’s not happened to you yet that it can’t happen. Be alert, be prepared, and make sure your family knows what to do whatever may come your way. Your family should have a plan, or two, or three for different situations – home, church, school, car, etc. Make sure your kids and family members know each scenario. Have a family meeting to discuss it! Getting through nasty storms requires careful thought and planning well before the weather becomes an issue. Before that day comes, know where you live: city, county, neighborhood, nearby landmarks. This is especially important if you are new to the area. You’d be surprised how knowing a little geography can help you make a better decision to protect your family. Make sure you are ready to receive a warning! NOAA Weather Radio and Live Alert 19 do that for you. And be sure to check those batteries 2-3 times a year. Know where the safest, sturdiest place in your home is! That’s usually going to be a closet, hallway, or bathroom on the lowest floor near the center of your home. This area should have no windows or outside walls. Here’s more on choosing & prepping your safe place. 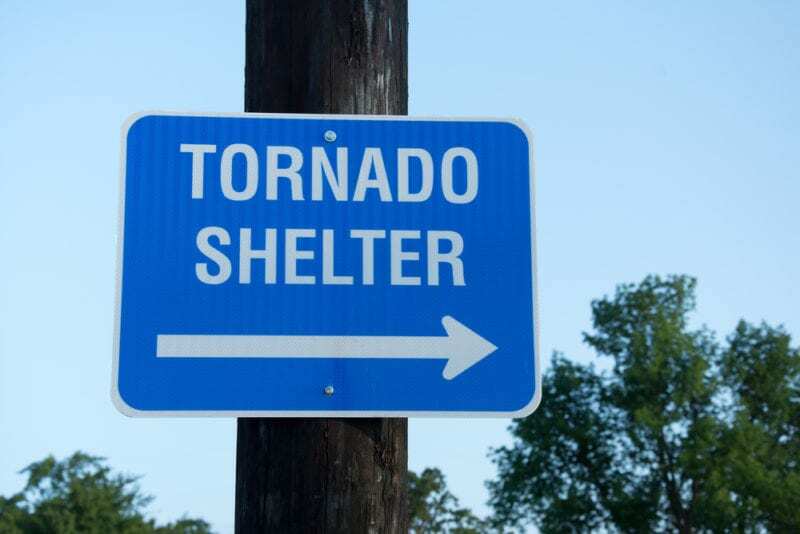 If you don’t feel safe in your residence, find the nearest public shelter. Some counties offer large shelters available to everyone, including restrained pets; some counties only have shelters run by individual entities. We have a list of known shelters on WHNT.com. What’s In Your Weather Kit? This is a box or bag you keep in your ‘safe place’ that has things you will need if a storm damages your home. Pet food, water, health forms, IDs for family dogs, cats, birds, etc. Preparing your family’s severe weather safety kit is just a part of living in North Alabama. Don’t Panic – We’re More Prepared Now Than We Used To Be! Severe weather prediction and detection is much better now than 20 years ago thanks to radar advancements (like dual-pol radar), a better network of trained storm spotters, and research from institutions like UAH that has revolutionized the way we look at storms and communicate the threat. The average ‘lead time’ (time from the warning to the tornado occurring) is about 13 minutes. Greater understanding of storms and higher-quality short-range atmospheric modeling may help us push that ‘lead time’ to as much as 30 minutes to one hour in a few years. That said, when you hear me say to take shelter on the air, take shelter. I’m using all these tools and my extensive knowledge and experience to make that call for you. Severe weather can be scary and traumatizing for your little ones. Let’s be real – even adults get nervous! But there are some easy things you can do to help them. Calm their fears by showing them how to be safe. Run through your plan on a quiet weather day and review it on days when the weather could get rough. Give them knowledge! Thunderstorms are part of the natural water cycle; if we didn’t have storms, there wouldn’t be water to drink, food to eat, or a pool to swim in come summertime. Storms can do bad things, but they also help us survive by bringing the rain we need to live. If your child has severe astraphobia (fear of thunderstorms), take them on a field trip. Come visit us at WHNT News 19. Go visit the National Weather Service. Sometimes a personal touch helps build the trust needed to deal with that fear. Severe storms can take you by surprise in the summer months: sunny one minute, stormy the next. Be aware of those storms when you’re outdoors at a ball park, pool, or just in the backyard. They can bring very high winds, incredible amounts of lightning, and can be some of the worst weather you’ll experience all year long. 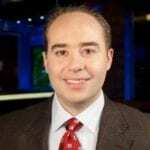 ABOUT THE AUTHOR: Jason Simpson is WHNT News 19’s Chief Meteorologist. graduated from Mississippi State University with a degree in Broadcast Meteorology, and was awarded the American Meteorological Society’s Certified Broadcast Meteorologist Seal for excellence in television weather in 2007. Jason has been instrumental in building curriculum for elementary and middle school science classes through the “ABC’s of Weather” series that he produced for the Alabama Math Science and Technology Initiative. He and his wife Lacey have three children. 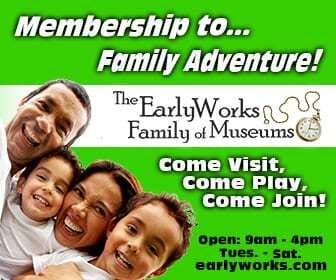 Rocket City Mom is a website about raising children in and around Huntsville, Alabama. Started in late 2010 by a local mom and newcomer to Huntsville, Rocket City Mom has grown into a thriving community of local parents and now boasts a staff of four, thirteen regular contributors, and tens of thousands of Tennessee Valley readers making it the #1 Parenting Resource in North Alabama. Great information. Jason Simpson is great I trust him completely. He does great . When there are storms without scaring ever one. Thank you Jason for keeping us informed. You have a beautiful family. Thank you so much for all you do Jason, thanks for the information. We trust in you to keep us safe as best you can, and that good enough for us.